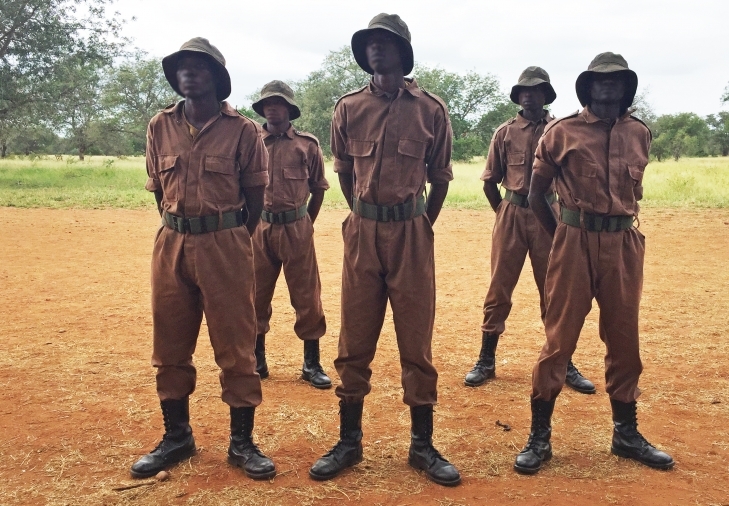 A new carnivore protection ranger force, the Limpopo Lion Protection Team, has had significant successes in the first few weeks of their deployment in the Limpopo National Park, a core component of the Great Limpopo Transfrontier Conservation Area. 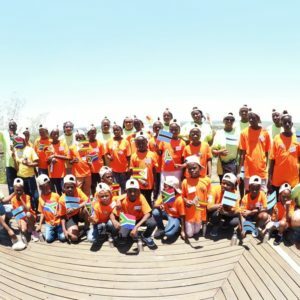 Recently graduated from a ranger training course offered by the Southern African Wildlife College, these well-trained men – specifically assigned to support the Greater Limpopo Carnivore Programme – were rapidly deployed into known lion ranges and tasked with securing these areas from targeted lion poaching. Within the first four days of operations they covered 57 km and removed 33 snares. 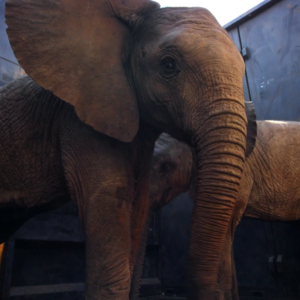 In the following weeks they also found three meat camps and with the assistance of park rangers ambushed and captured three meat poachers. Snaring is a common and inexpensive method used to catch wildlife, and it is as cruel as it is effective. 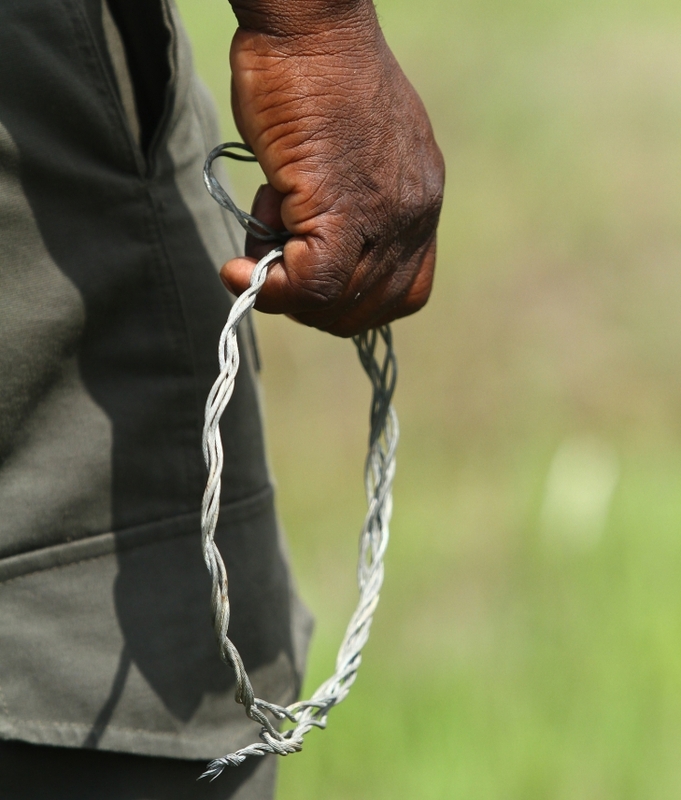 In 2016, rangers removed a staggering 664 snares from Limpopo National Park. These snares were strategically placed by poachers, often around water points, aiming to capture animals. Some of the animals are caught for meat, but some are killed for a second and much more sinister and devastating use. The practice involves the application of an easily accessible, over the counter pesticide to a carcass, the size of which directly relates to the number of animals that will be affected. Sometimes it is a small antelope and sometimes an elephant. The main target is usually predators, be it lion, hyena, jackal or leopard. The spoils? Bones and body parts sold for export to the east or used for traditional practices. Notwithstanding the devasting effect on carnivore populations, non-targeted species also suffer. 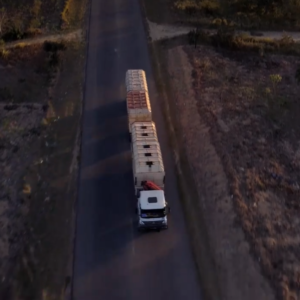 In a single, well-document incident in the Kruger National Park in 2017, 49 vultures died as a result of feeding on poisoned antelope carcasses. One shudders at the impact this had on vulture populations, with several species more endangered than rhino. According to a Times Live article, in 2016 nearly 150 vultures were killed in two poison incidents in northern Botswana and 105 were poisoned in South Luangwa National Park. Fifty-six more were killed in Ruaha National Park in Tanzania – and these are only the known and documented cases. The mind bends at the consideration that many of these birds may have been breeding pairs with younglings in nests. Generations of these critically endangered species have potentially been wiped out. The Endangered Wildlife Trust has named poisoning as the most significant threat to vultures in Africa and Eurasia, which has contributed to decline of more than 80% in some African species. Lion poisoning has been steadily increasing in Limpopo National Park. Peter Leitner, a Peace Parks Foundation Project Manager for the park says, “It is of grave concern to us. Over the last year, there have been seven lions poisoned and eight incidences were recorded where poisoned bait was found in the park. 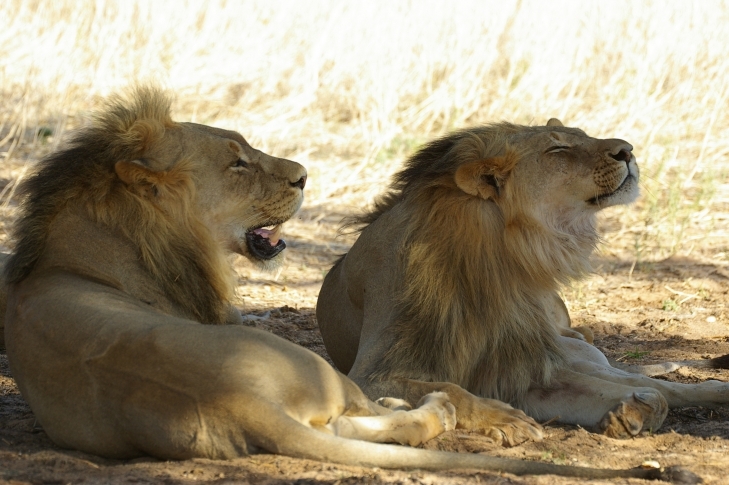 In the communal land south of park, two lions were poisoned when they fed on a cow that was laced with poison. 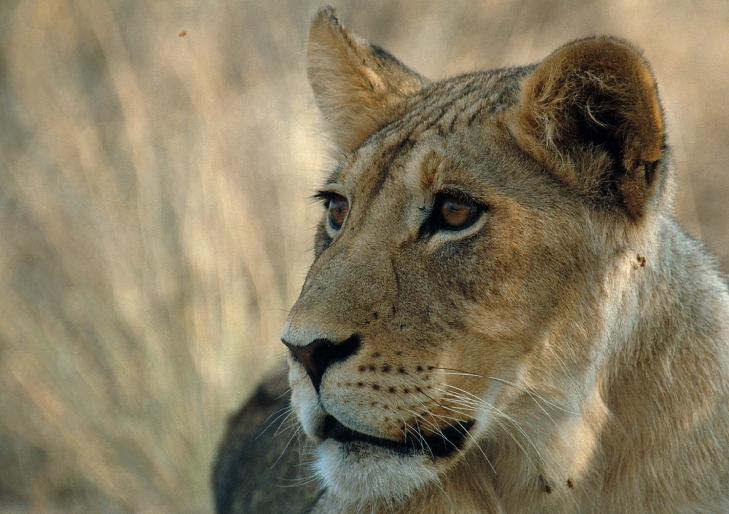 In May, two lion cubs, a male and female, were found poisoned close to a river in the park. 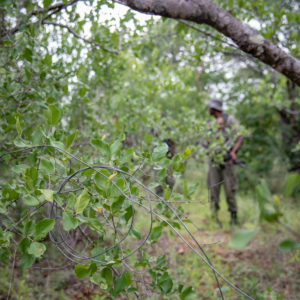 Realising the potential impact of this threat, combined with other poaching methods, Peace Parks Foundation, in partnership with the Mozambican National Administration of Conservation Areas (ANAC) established an intensive protection zone (IPZ) within the park with the purpose of creating a stronghold in an area that has the largest concentration of game. Peter says that because of the high game numbers here, the area is an important component of tourism development which will, if the game has recovered, attract tourism investors. It is also a critical focus point for illegal activities of wildlife crime syndicates. Patrolling the enormous expanse of the park’s more than one million hectares is an almost impossible task with the resources available. 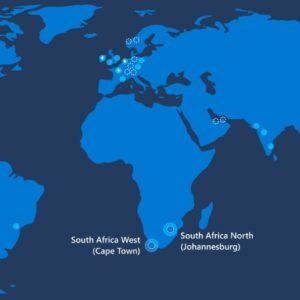 Through the IPZ strategy, 80% of anti-poaching resources can now be allocated to securing the most vital poaching hotspots along the park’s western border, which is shared with the Kruger National Park. For many years, the Greater Limpopo Carnivore Programme has been doing continuous research in the Great Limpopo Transfrontier Conservation Area (TFCA) covering an area of approximately 38 000km2. Through scientifically-guided conservation activities, the programme aims to recover and restore the long-term viability of the lion population spread across the large cross-border conservation landscape which forms part of the Great Limpopo TFCA. 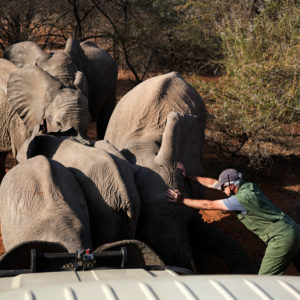 Because poisoning is a regional issue which needs to be understood, a baseline study has been commissioned by Peace Parks Foundation in the Great Limpopo Transfrontier Conservation Area in Mozambique, South Africa and Zimbabwe. The researchers have gone out to the villages to try and gain a deeper understanding of the issues that are promoting poisoning. They had several interviews with district leaders, community leaders and park officials in which they asked very direct questions, such as what the advantages of poisoning are. 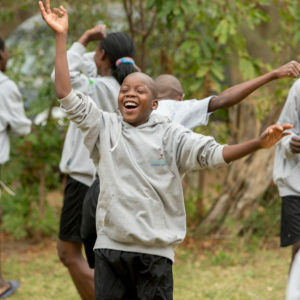 By fully understanding the subject, appropriate interventions can be developed which will address the underlying issues by offering alternative solutions. Significantly reducing snaring, poisoning and poaching in the park will benefit more than the species they target. Peter says, “As we are protecting predators and other wildlife, the hope is that animal numbers will steadily increase. As this happens, tourism interests will perk up, which will, in turn, attract capital investment and generate revenues the park needs to sustain itself as well as provide meaningful employment to members of the communities. We need to make it attractive for tourism investors to come in and the way to do this is to make sure there is a product. This product has to be more than the aesthetics of the environment, such as nice river valleys, mountains and forests. We need to ensure that our wildlife numbers are at levels which become attractive to tourists. The Greater Limpopo Carnivore Programme would like to thank Lion Recovery Fund, US Fish and Wildlife Service, National Geographic’s Big Cats Initiative and Panthera for their continued support.